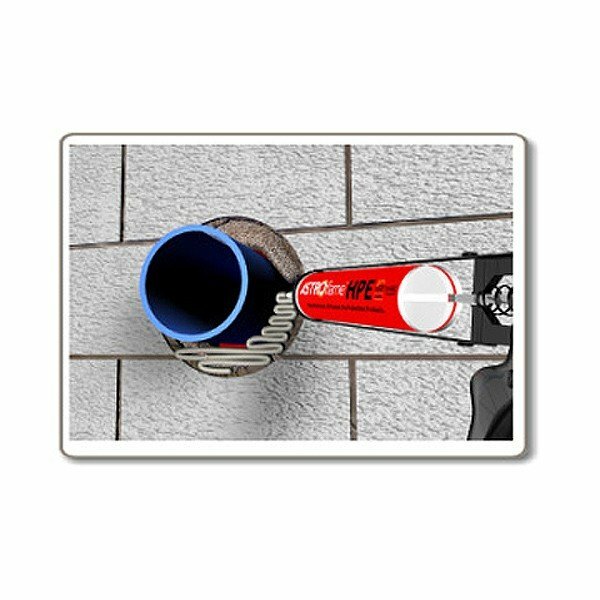 Our high pressure expansion sealant (HPE) is a high pressure exerting, graphite based, intumescent sealant that expands when exposed to fire to protect penetrations, including pipes and cables. It also maintains the integrity and insulation performance of the seal.The sealant is smoke, gas and air tight. Under fire conditions the product swells and exerts pressure to the surrounding substrates leading to closure of the penetration. The integrity and insulation is then maintained by the stability of the remaining product char. The HPE sealant is intended for use in all types of service penetration through walls and floors where fire integrity and insulation needs to be preserved. It has excellent non slump properties coupled with ease of application due to its water based nature.